For some time now, scholars have recognized the archive less as a neutral repository of documents of the past, and rather more as a politically interested representation of it, and recognized that the very act of archiving is accompanied by a process of un-archiving. Michel Foucault pointed to "madness" as describing one limit of reason, history and the archive. This book draws attention to another boundary, marked not by exile, but by the ordinary and everyday, yet trivialized or "trifling." It is the status of being exiled within – by prejudices, procedures, activities and interactions so fundamental as to not even be noticed – that marks the unarchived histories investigated in this volume. Pandey, Gyanendra. 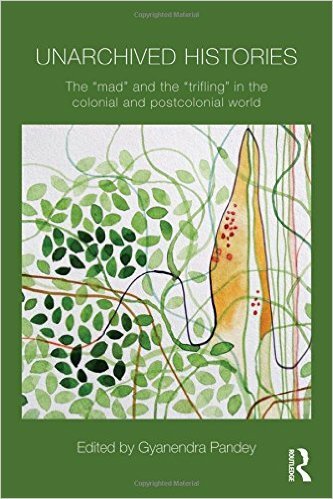 Unarchived histories : the 'mad' and the 'trifling' in the colonial and postcolonial world. New York: Routledge, 2014. Print.